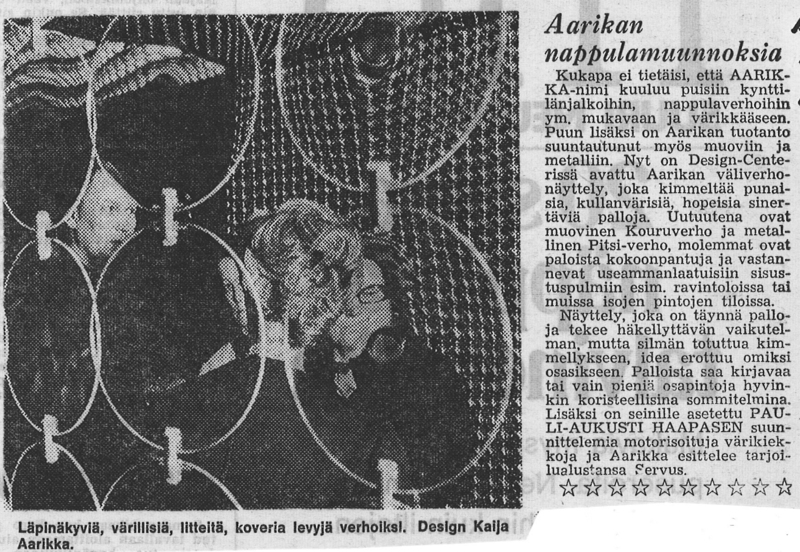 Kaija at the Nappi-Aarikka shop. 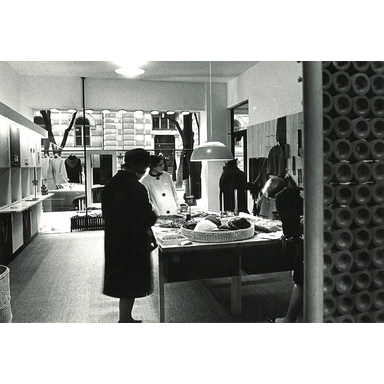 Advertisement for the opening of the Nappi button shop. 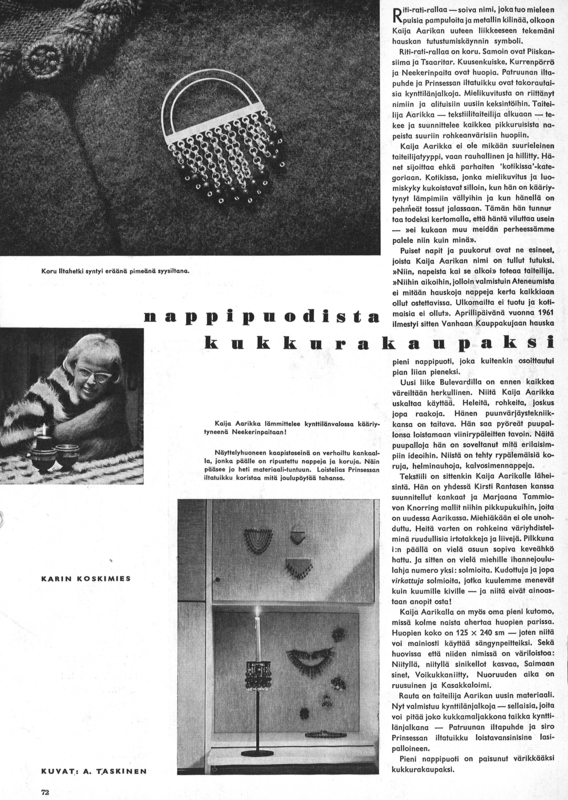 From the Nappi shop to the Kukkurakauppa shop. 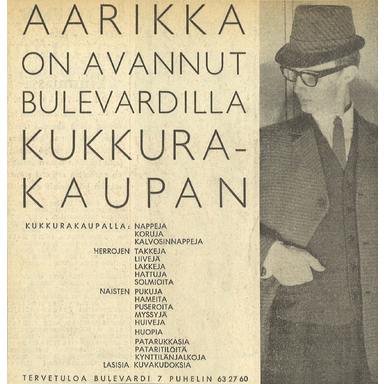 Opening advertisement for the Kukkurakauppa shop. 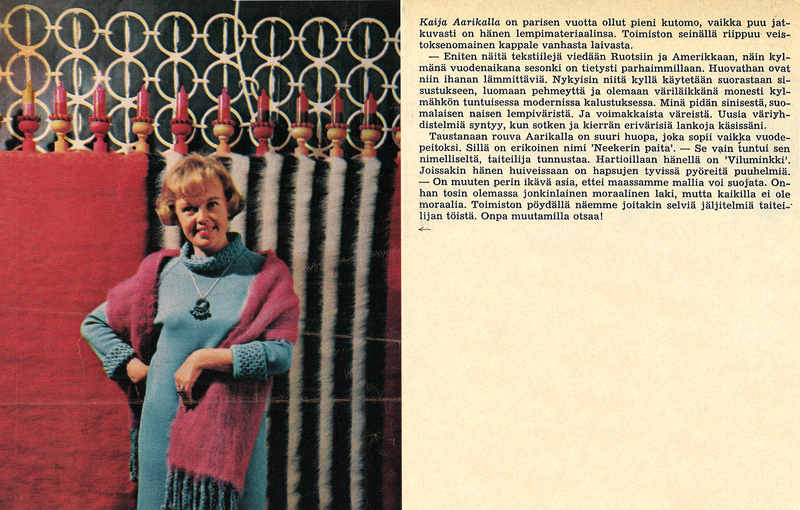 The product range at the Kukkurakauppa shop also included fluffy blankets. 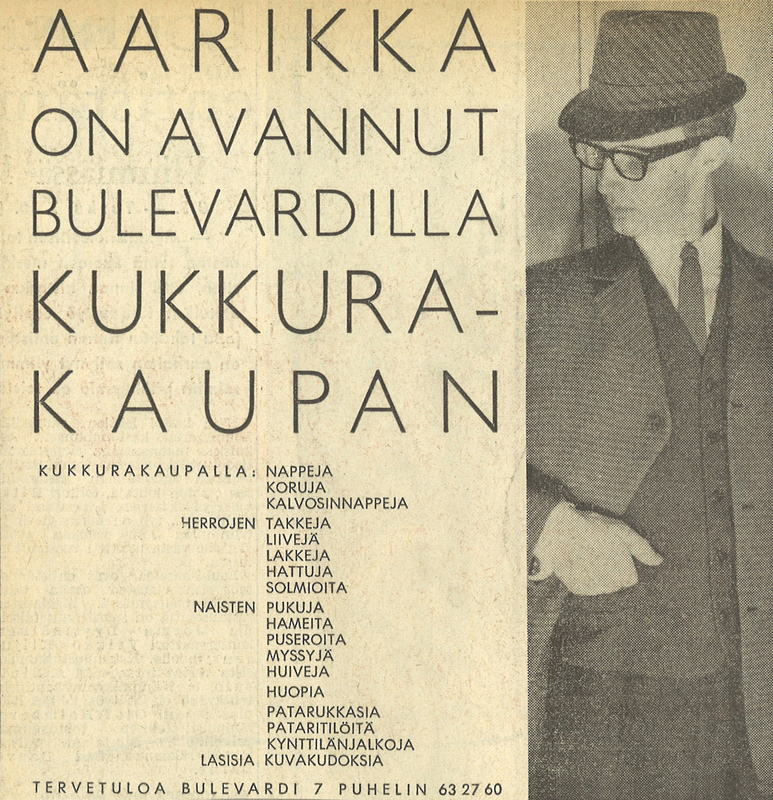 The Kukkurakauppa shop was at Bulevardi 7. The design of the Kukkurakauppa shop was handled by Marja-Liisa Parko. 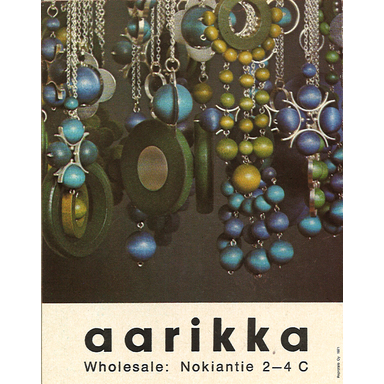 In 1960, Aarikka opened its own little shop, the Nappi-Aarikka outlet, in Helsinki’s Wanha kauppakuja merchants’ alley. 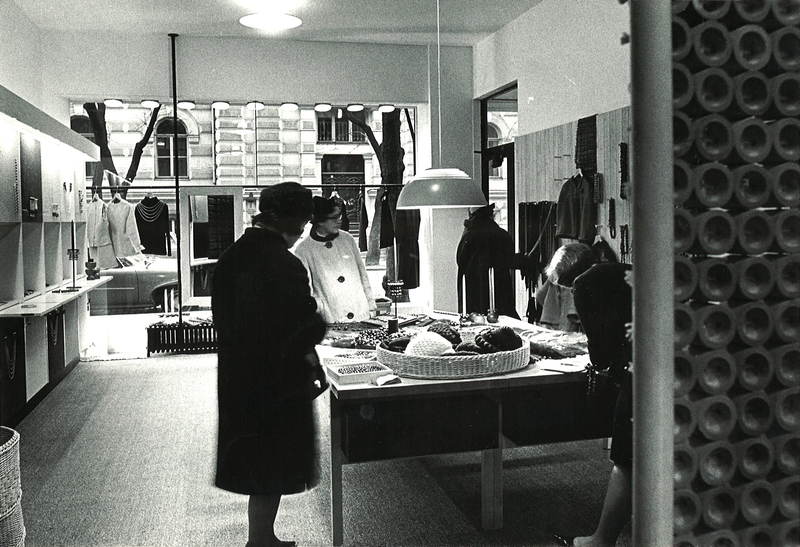 Aarikka’s second shop opened its doors in 1963 on Bulevardi, also in Helsinki. This shop, called Kukkurakauppa, showcased true boutique style. 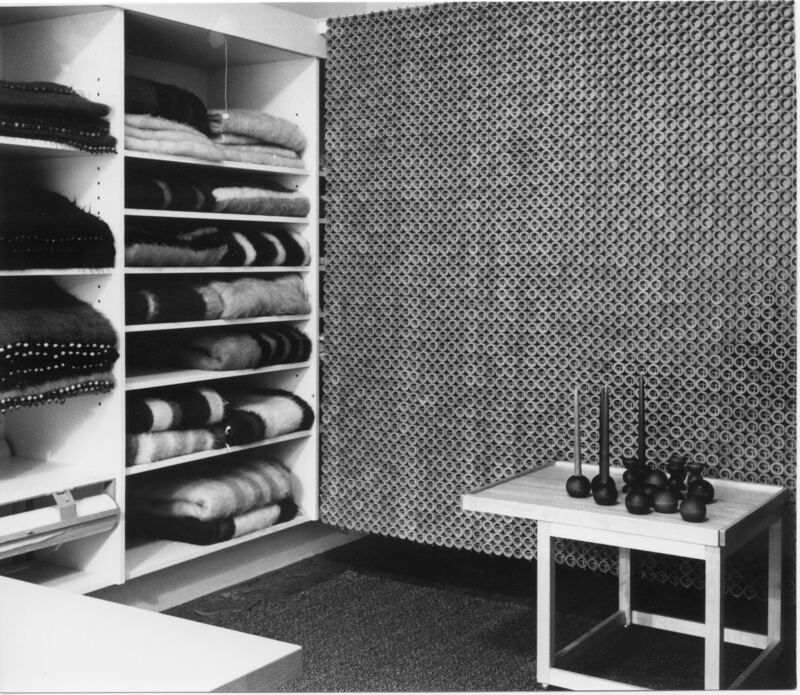 In addition to buttons and jewellery, it had room for gift items and for the clothing lines for men and women presented on the shop’s opening day. 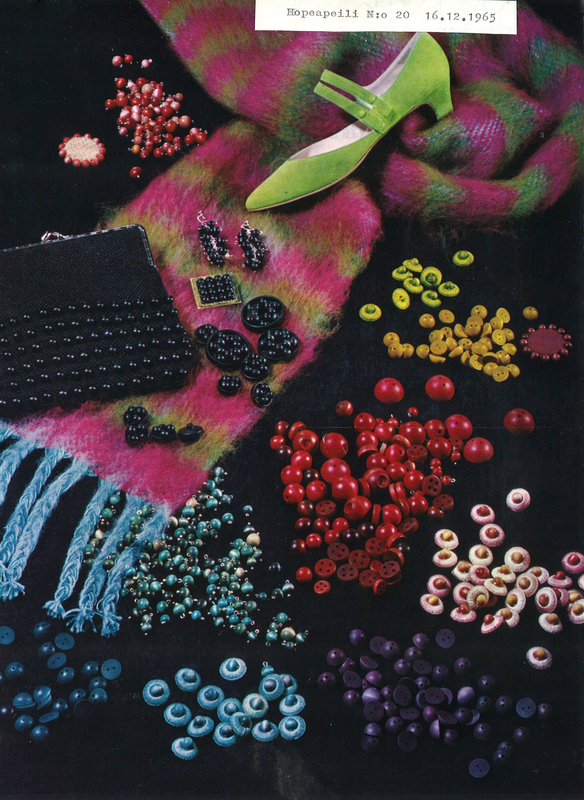 Right above the shop was the Aarikka weaving mill, where colourful and fluffy felt blankets designed by Kaija began their life. 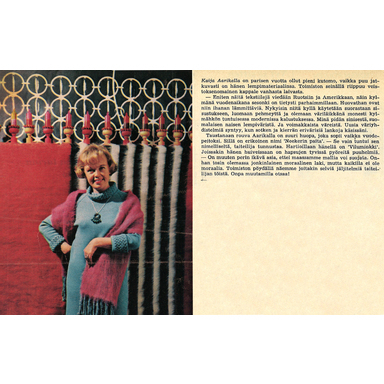 Kirsti Rantanen wove the fabrics for clothing at the Martela weaving mill, in Somero. 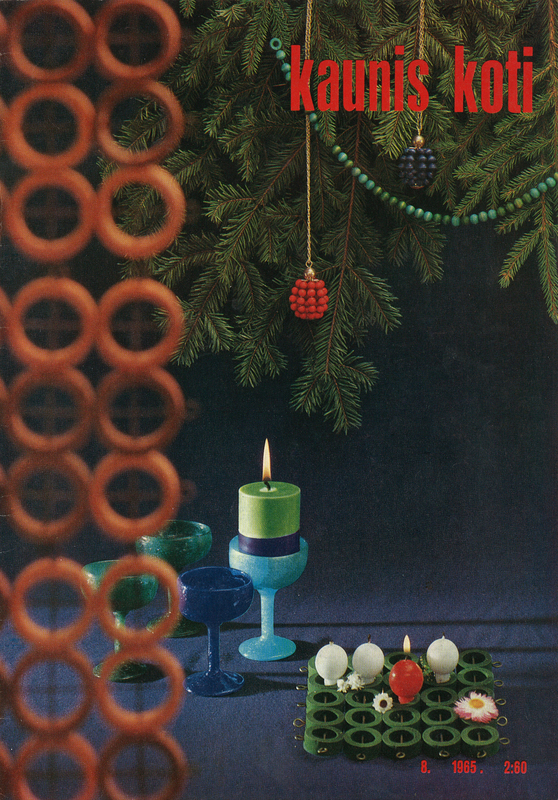 A picture in the December 1965 issue of the magazine Hopeapeili. 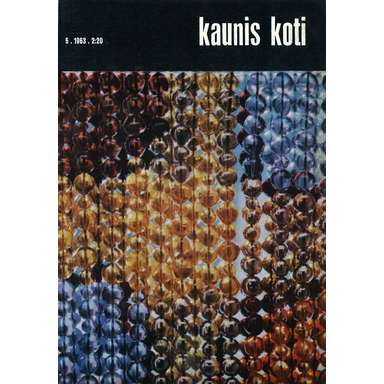 A glass-bead tapestry in the magazine Kaunis koti. 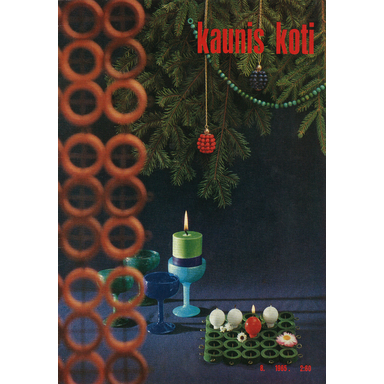 Cover of Kaunis koti magazine from 1963. 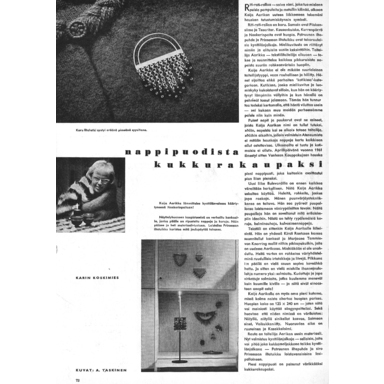 A page from an article showcasing Aarikka’s woollen blankets. 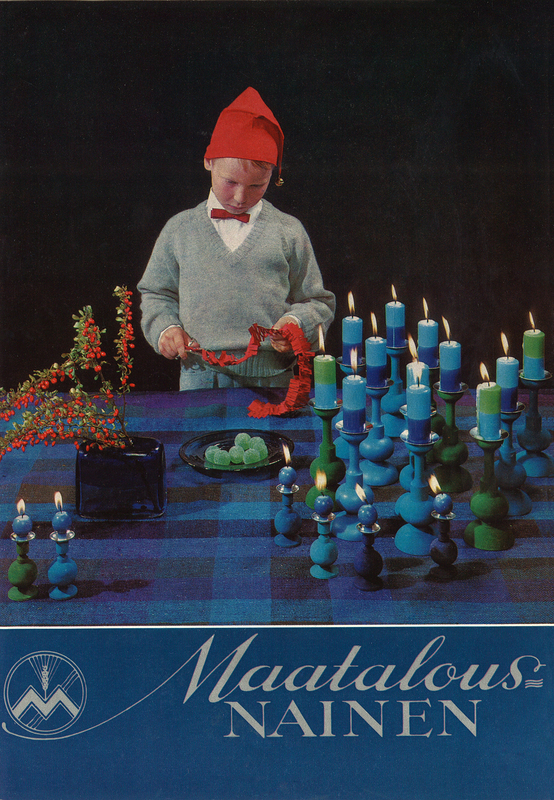 An advertisement in an English-language publication from 1971. 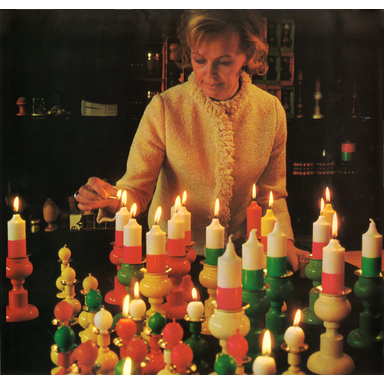 Bold colours were very much in the spirit of the 1960s for clothing and interior design alike. 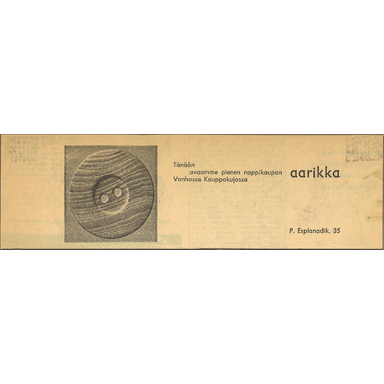 In anticipation of this, Kaija and Erkki had designed a wood-colouring method of their own in the 1950s; so responding to the demands of the time was easy. 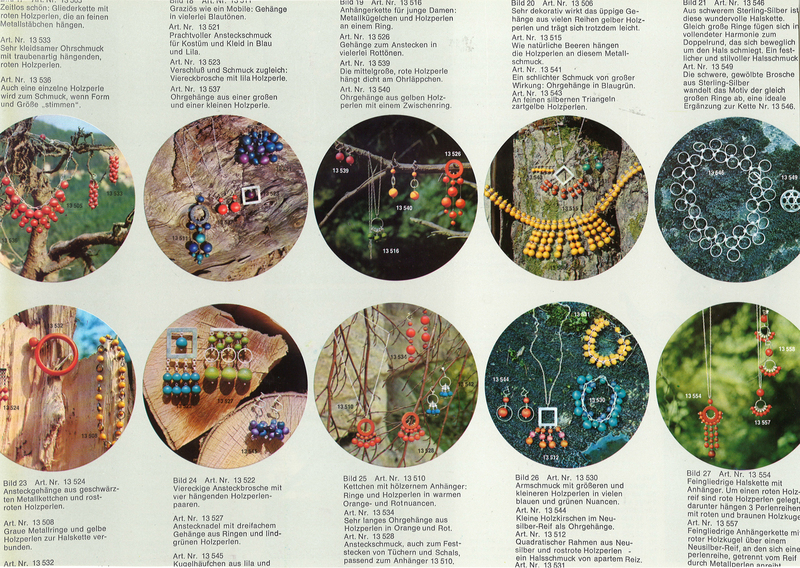 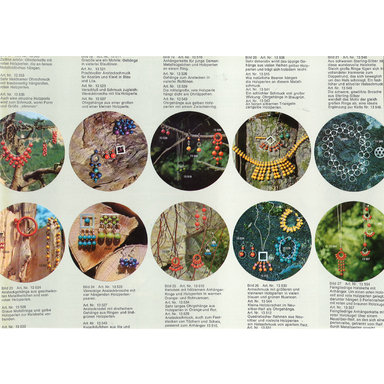 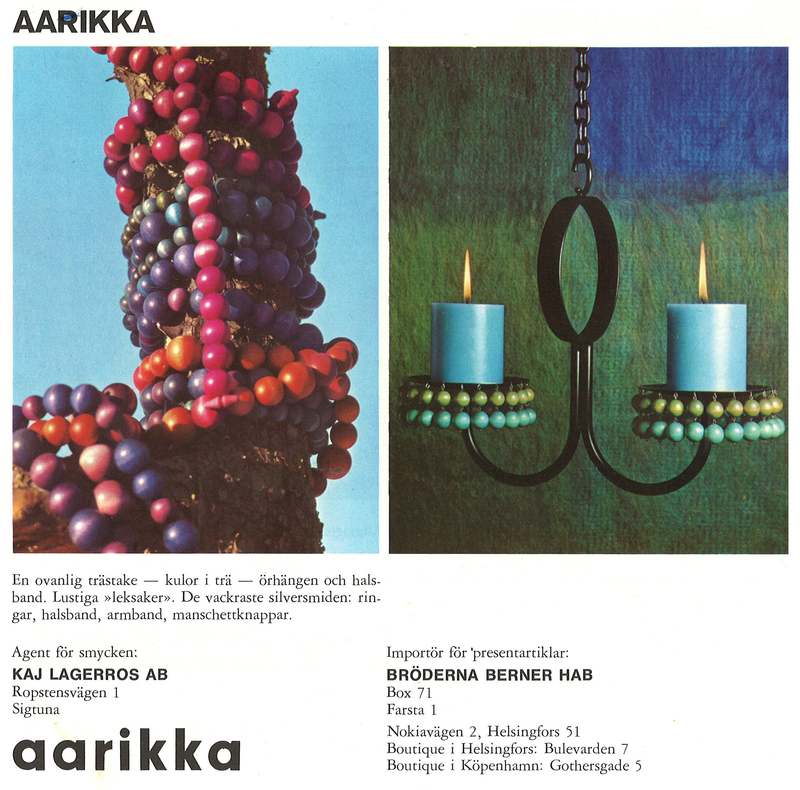 Aarikka’s wooden jewellery, candle-holders, and felt blankets were bold enough in colour to win many hearts in the promised decade of colourful synthetic materials. 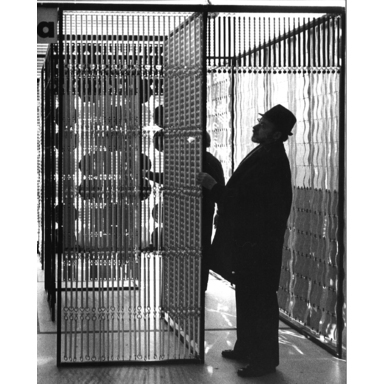 Kaija was very broadminded when it came to materials, and she designed the partition curtain named ‘Discus’ from acrylic discs. 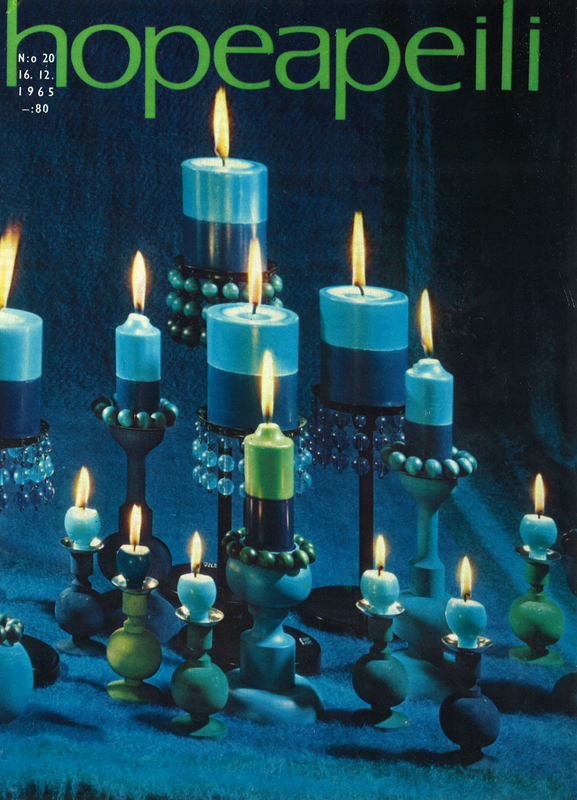 Glass beads were used to create tapestries, and brass and wrought iron were employed for candlesticks. 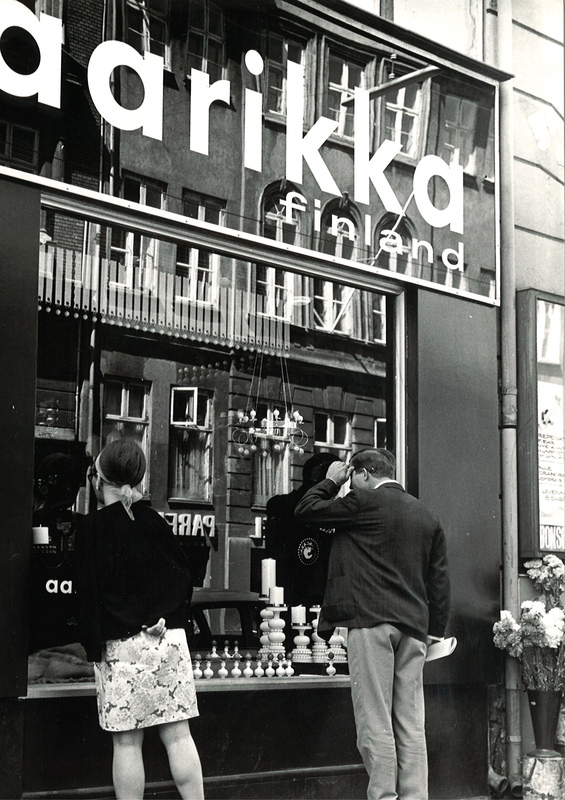 A new Aarikka shop opens in Copenhagen in 1968. 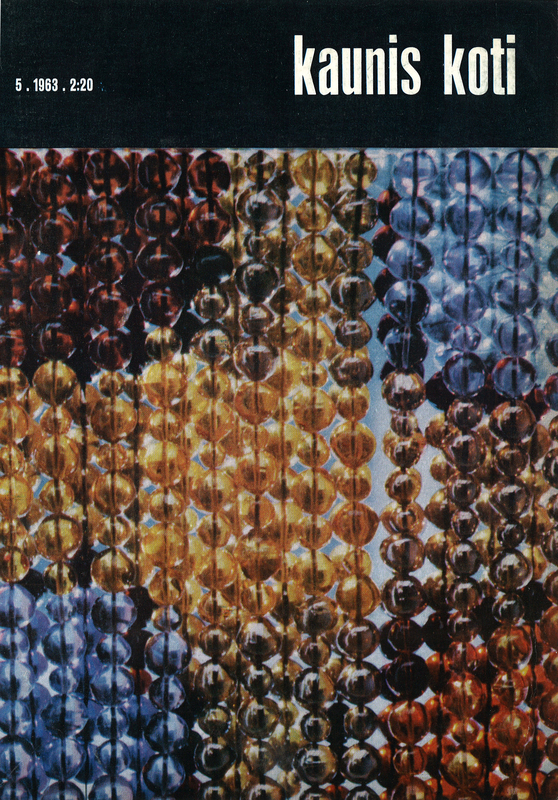 A brochure for German markets. 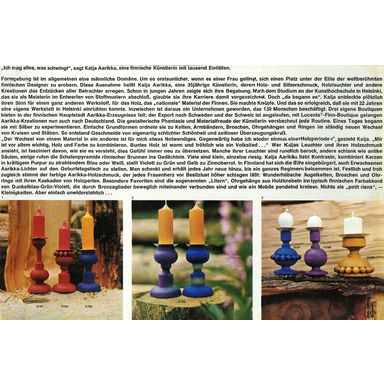 An advertisement in House & Garden magazine. 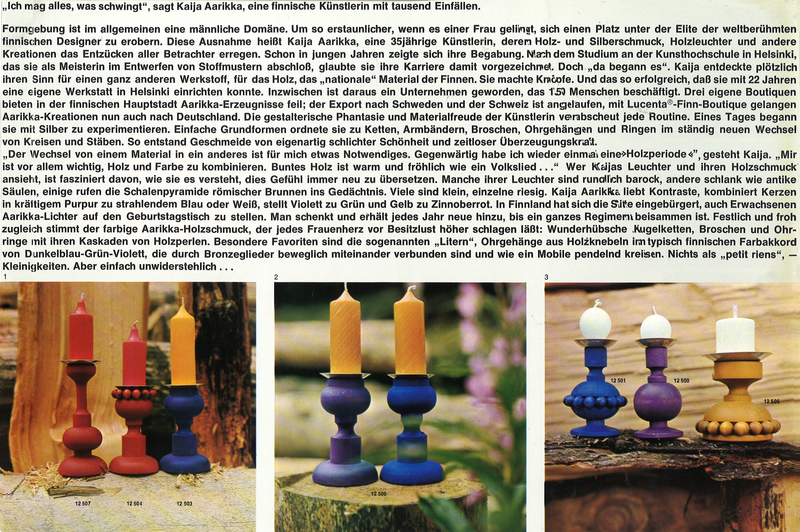 Colourful candle-holders in a German brochure. 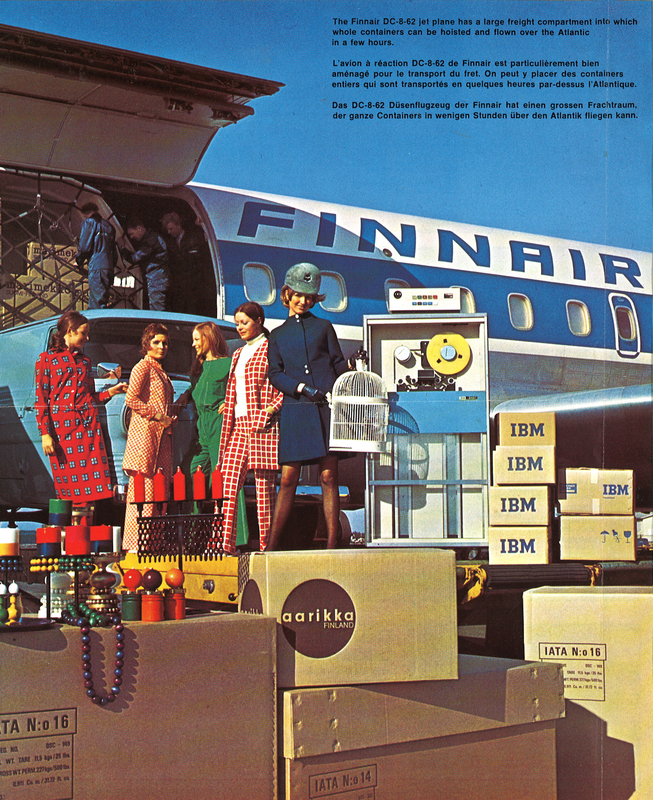 Finland began growing more international and affluent. 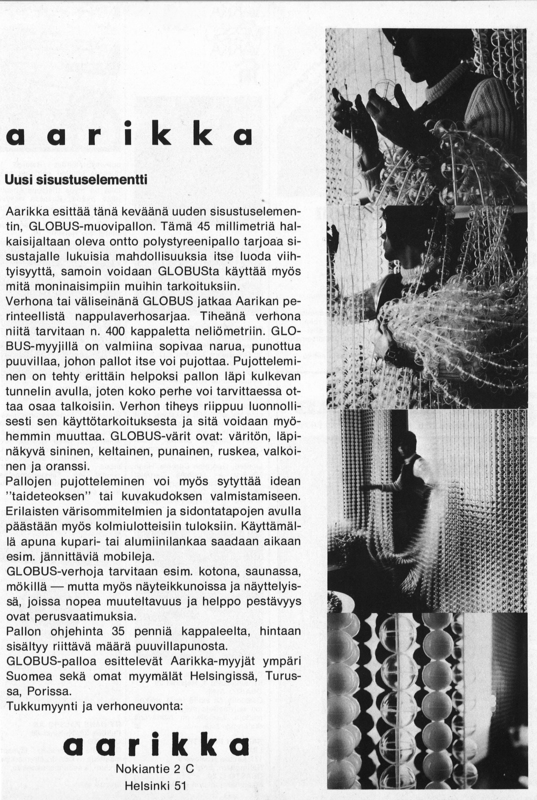 Participation in international trade fairs and active organisation of exhibitions paid off for Aarikka. 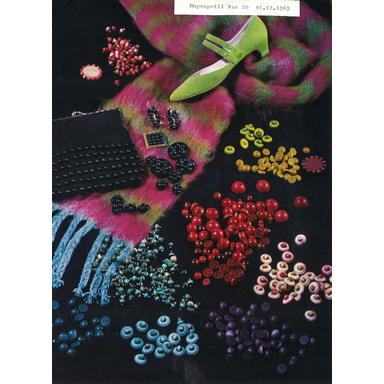 As the 1960s drew to a close, export already accounted for half of the company’s total sales. 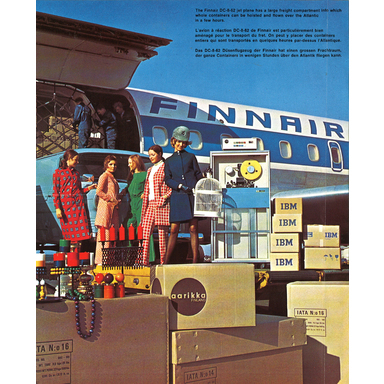 The largest country of export was Sweden, to which Finns were immigrating in great numbers. 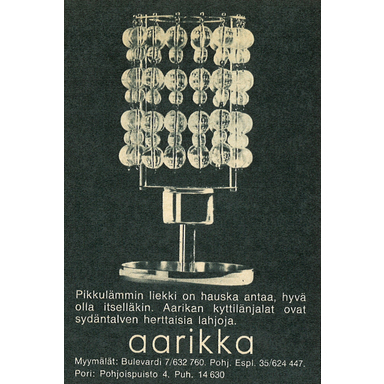 At the beginning of the decade, Aarikka employed one worker, but the number of employees had risen to 60 before the ’70s rolled in. 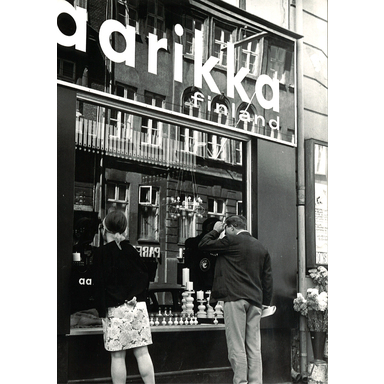 There were four Aarikka shops, one of them in the city of Pori. 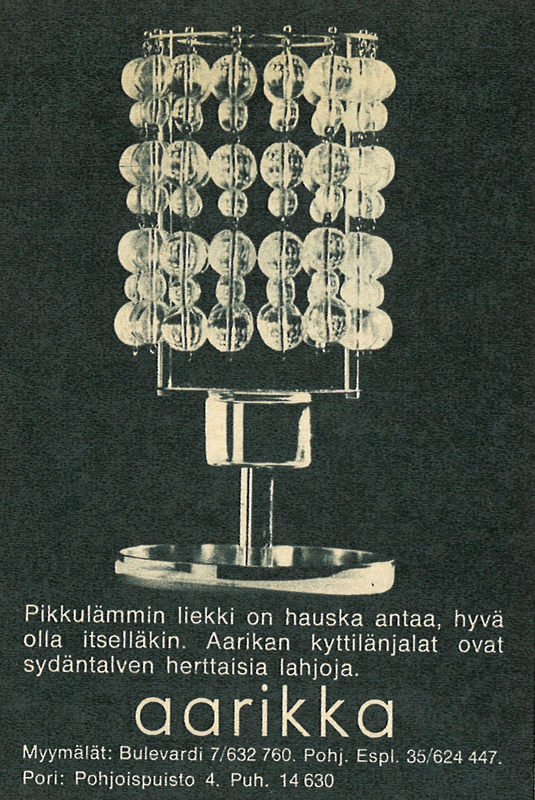 The head office in Helsinki moved from the Haaga district to Fredrikinkatu, and production moved to Nokiantie, in Vallila, where the production facilities remain today. Kaija in the glow of candlesticks. 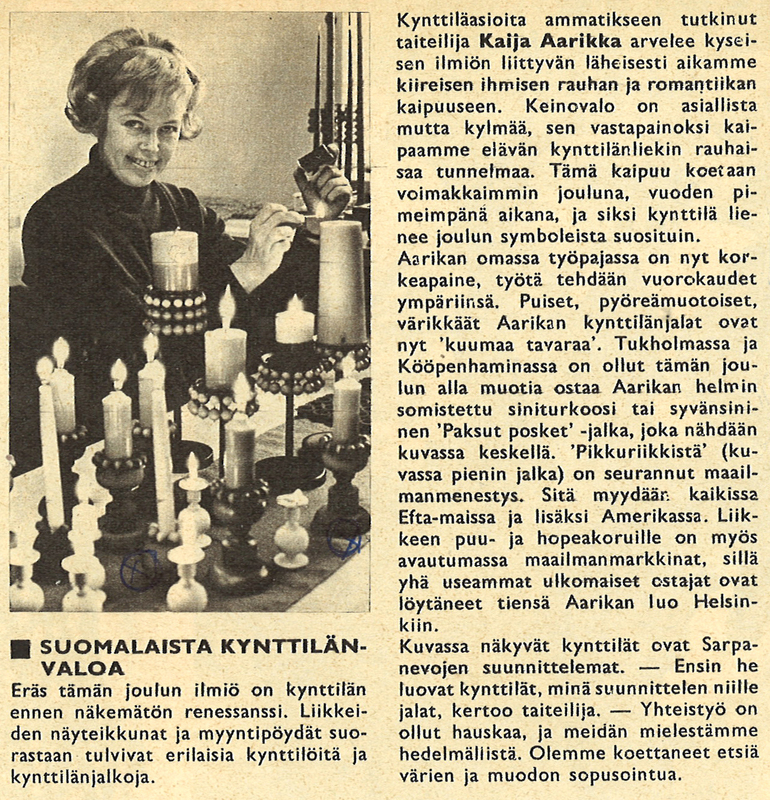 A magazine article on the Aarikka candlesticks. 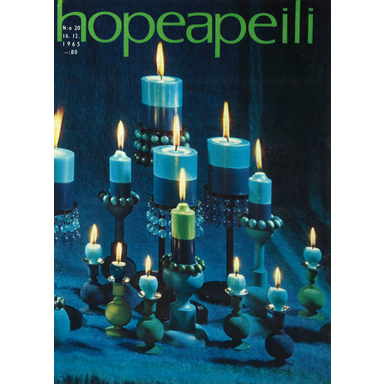 Cover of the magazine Hopeapeili, 1965. 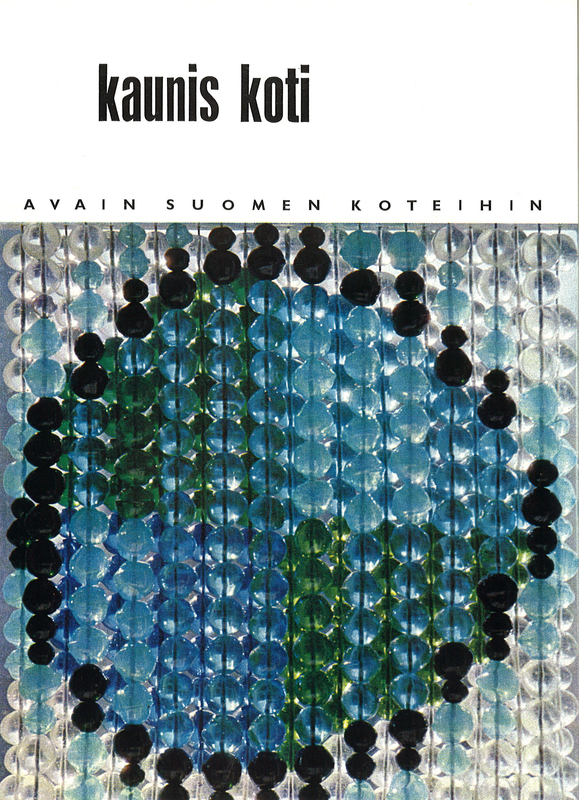 Cover of Kaunis koti, from 1965. 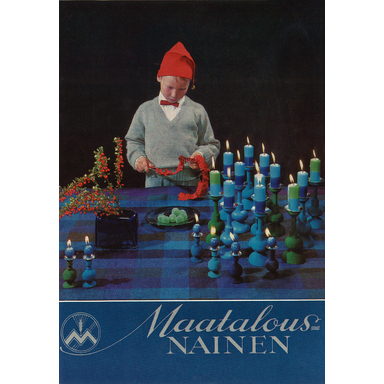 Cover of the magazine Maatalous-nainen. 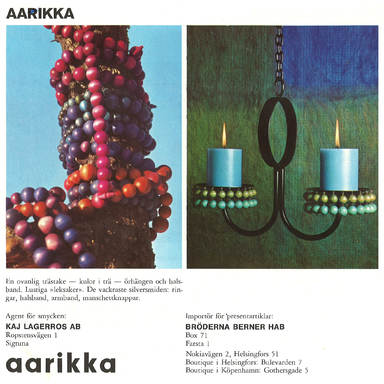 Beautifully packed gift items became a more and more important part of Aarikka’s product range. 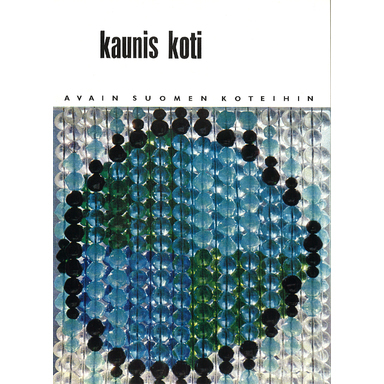 Kaija also designed the packaging for these products. 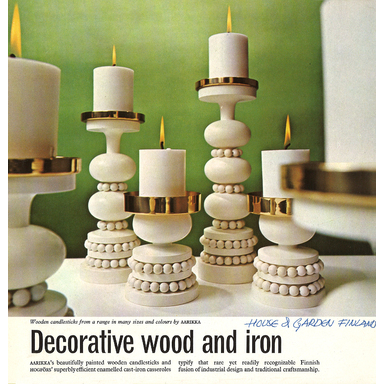 In the 1960s, the greatest demand was for candlesticks, which were sought after as far away as the United States. More than a million Pikkiriikkinen candlesticks have been sold since this product’s design in the 1960s. 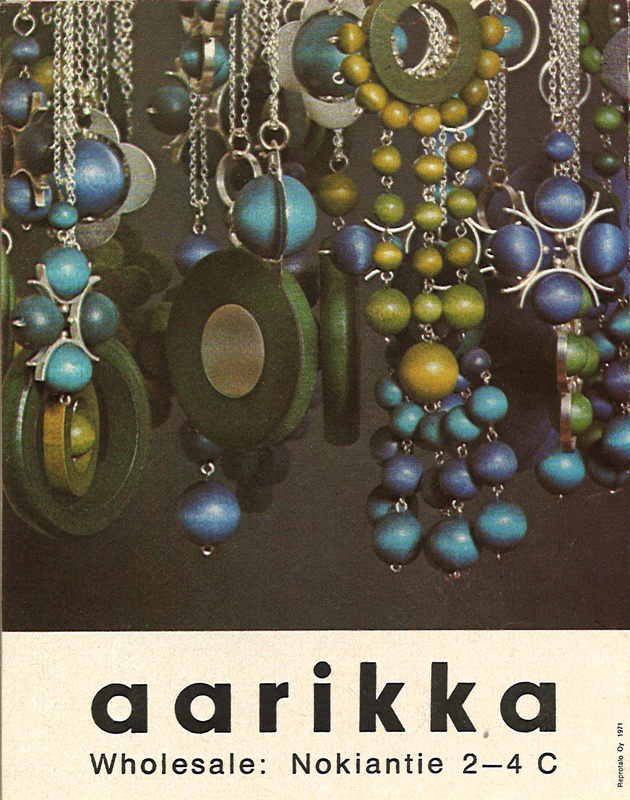 Aarikka jewellery could be found in the jewellery chests of both the conservative and the avantgarde. 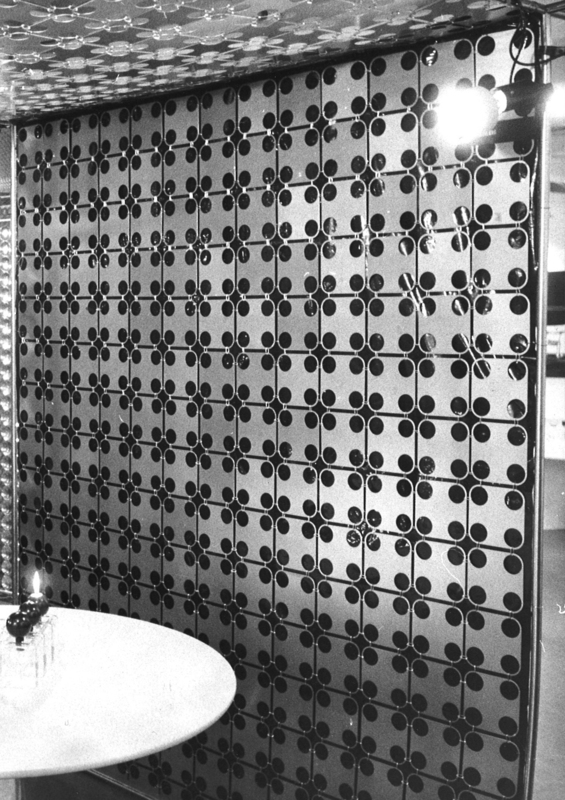 Large silver cocktail rings were at the peak of their popularity. 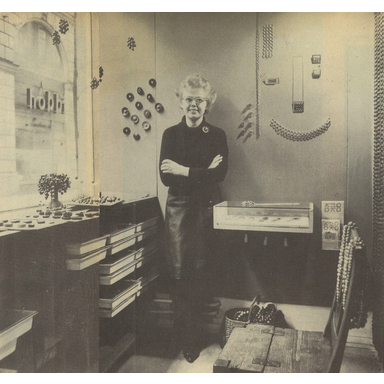 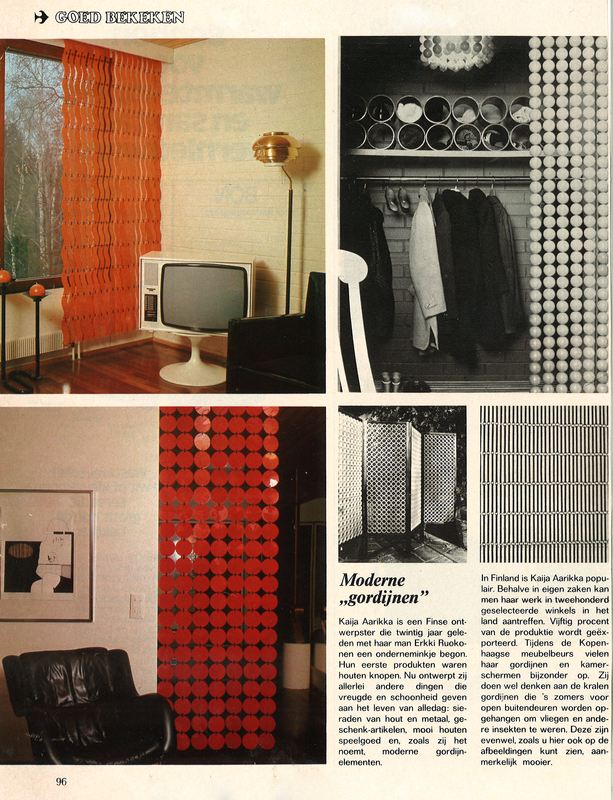 An article in the magazine Eigen huis & interieur, from September 1974. 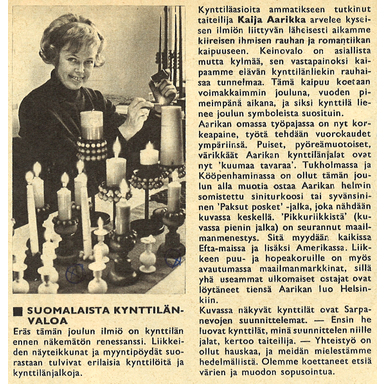 An article on the Väriverho exhibition, in Ilta-Sanomat newspaper, 17 February 1971. 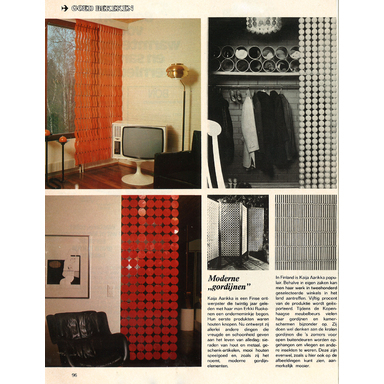 A Globus curtain advertisement, 1970. 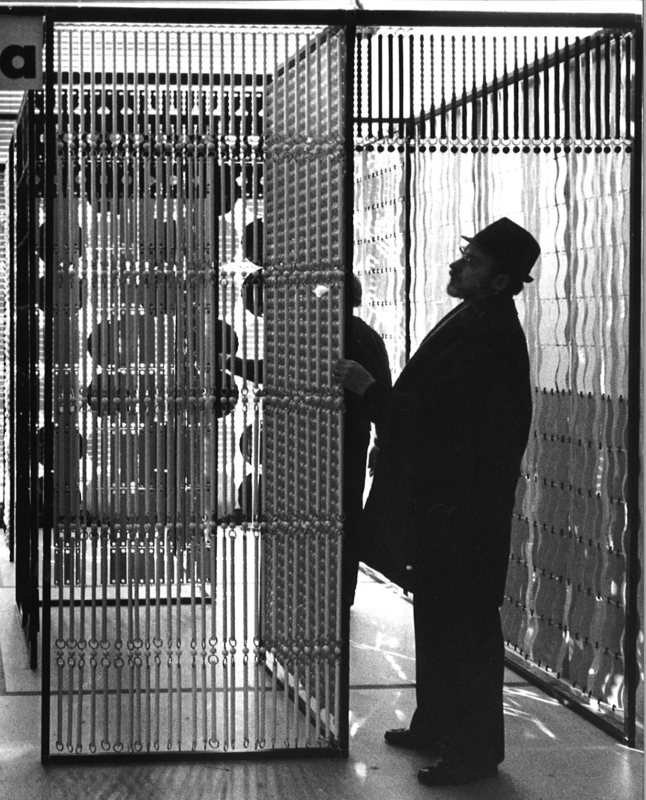 A brass curtain displayed in the Väriverho exhibition, 1971. 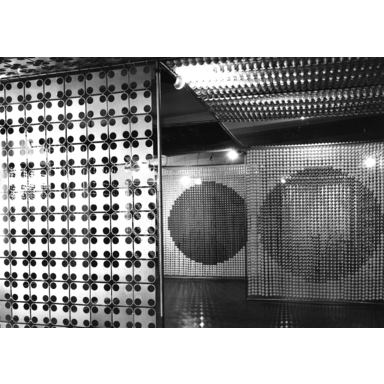 A view from the Väriverho exhibition, 1971. 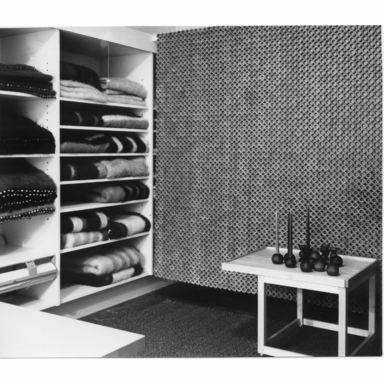 Since the early 1960s, Aarikka has manufactured button curtains that function as room dividers. 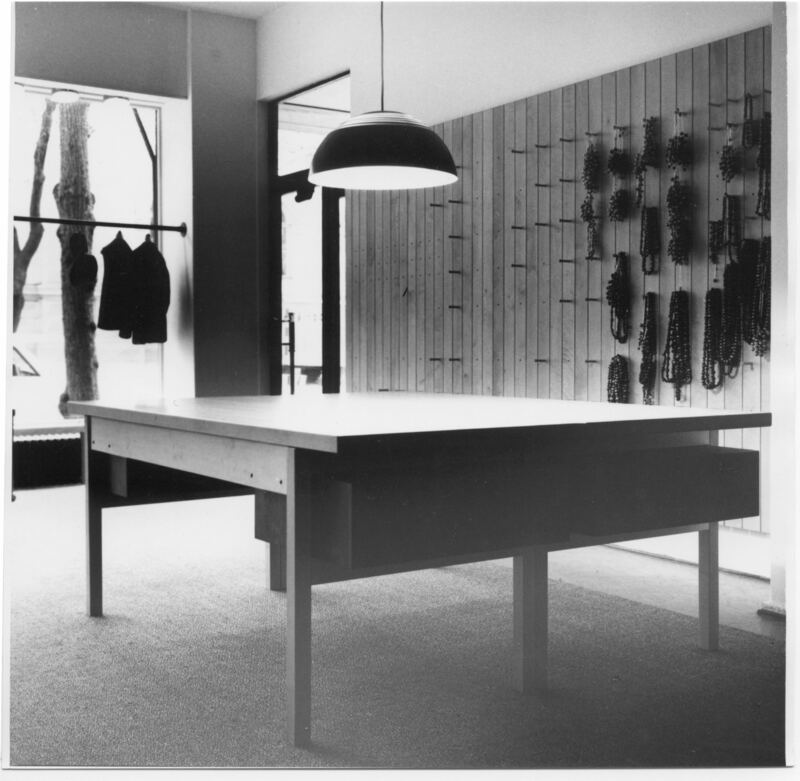 They have also been utilised in the company’s own shop decorations and exhibition stands. 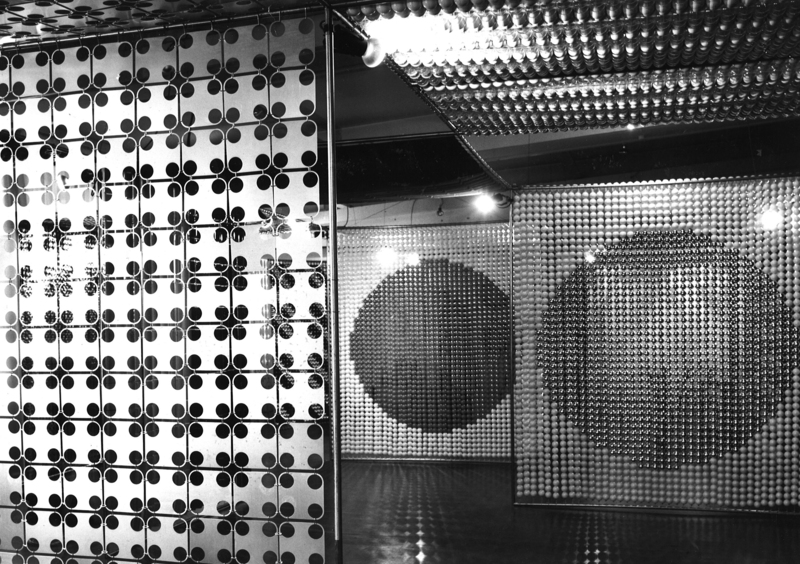 In the Väriverho (‘Colourful curtains’) exhibition held at the Finnish Design Center in 1971, Aarikka showcased curtains assembled from wooden elements but also curtains made from plastic, aluminium, and brass. 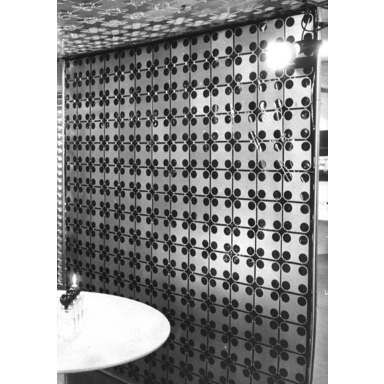 Interior decorators favoured various types of new room dividers for the interior spaces of hotels, restaurants, and other public areas.